Caught in the net… La Chasse aux Papillons by l’Artisan Parfumeur The Perfumed Dandy’s Scented Letter | The Perfumed Dandy. I think that is actually at the heart of it… such a wonderful name and then such a nothing of a perfume. Like swinging the net at a great Red Admiral and then finding that it’s empty. To be honest, the smell is not unpleasant, it’s such that it’s not really anything. Olfactory white noise, which at the price is quite irksome. Oh well, we wouldn’t know the good ones if the bad and the ever-so-average didn’t come along now and again. I can see it being the name of a ballet. Maybe it is (?). A ballet? How perfect that would be… it is, however, a rather lovely, especially whimsical French chanson. What a wonderfully erudite review with photographs that are so perfectly right . I have often wondered what this perfume smells like, since the beautiful name raises expectations, and now I know. L’Artisan Parfumeur is not known for its bargain prices, so thanks to you, I shall skip saving for this one, although I shall promise to smell it if it happens to come my way. I hope I’m not the only one who senses the similarity sometimes between orange blossom and detergent… something about the shrill persistence of the note. Not that I’m against all functional fragrance, there’s an organic floor soap that smells almost just like vintage Tabu… now that’s a thing! As for the name, yes it is so very beautiful and the more I consider the more I’m convinced that the heightened expectations must have contributed to the bitter disappointment. Finally, on L’Artisan’s prices… they are trop cher a mon avis. The crossover makes for interesting debate. When it comes to perfume, I don’t them to smell like cleaning products, but when it comes to cleaning products, I can’t enough of the Zoflora range. I am currently using “Bouquet” on my surfaces. As a postscript, I find Orange Blossom over rated and over used.. I quite agree the only exceptions being aldehydes. Estee’s White Linen because it is so damn bright and almost industrial in its architecture and the other being No. 5 et al because they don’t smell like soap… it is soap that smells like them! I am with you entirely regarding orange blossom.. it is the unspoken fad in modern fragrance. Sadly White Linen is too metallic for me, although I used to like it very much. Forgive me if there were missing words in my previous post. It was a day full of negotiation with two small children. Not much brain left. If there were missing words then your flowing prose meant that my mind filled them in for you! As to ‘White Linen’ I do know what you mean when you say ‘metallic’, nut I must confess this is a part of what I like so much. It is such a tough-minded sort of perfume. It makes me think of those impeccably turned out aid agency doctors one sees occasionally in the middle of war zones in spotless white coats. I imagine they’re probably not the most easy going of people privately and White Linen is certainly no easy going perfume either! Yes, the name almost made me order a sample! What’s understood as ‘fresh’ is very subjective I suppose. To my mind, laundry ideally smells of fresh air – whenever the UK weather allows for such a phenomenon! I hate when a scent is disappointing, and you put it so eloquently – ‘to calm him into being merely a collector’. Well, to hell with that Sir Dandy! 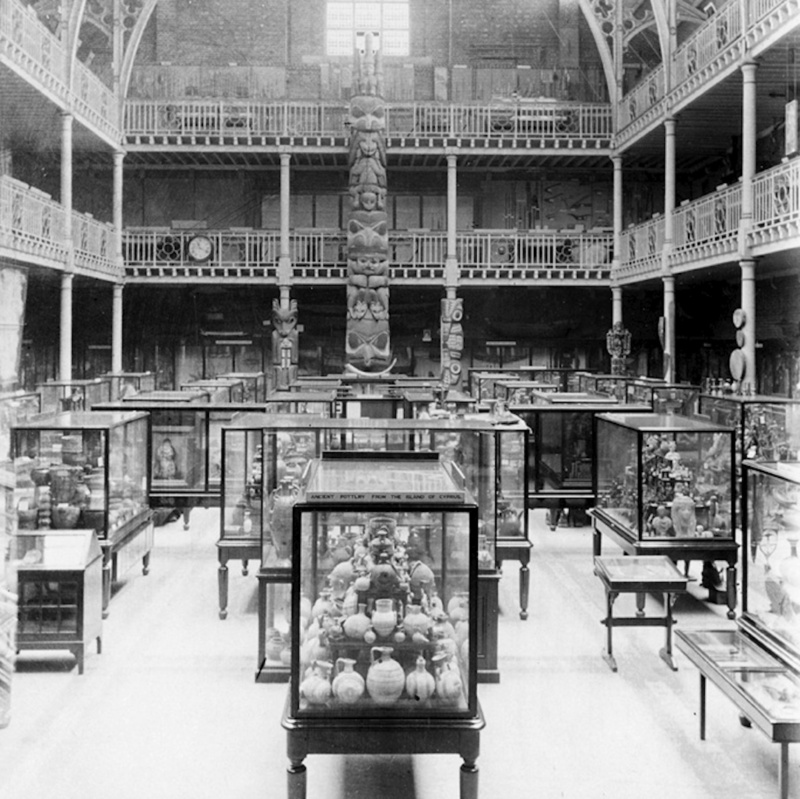 Unrelated to the perfume though – your description of museums past reminds me of that weird sense of unguided discovery museums used to have, if they got it right the colours are still bright, and I’d choose that over huge ‘interpretation’ boards and ‘inventive’ displays – all that guidance. Anorak that I am, this matters to me – I studied museum curation for a while and I defend the concept of discovery, however disappointing. But perfume-wise I’ve been disappointed by certain perfumes I expected more from – Lutens Chergui was the most recent – I found it kind of tedious. 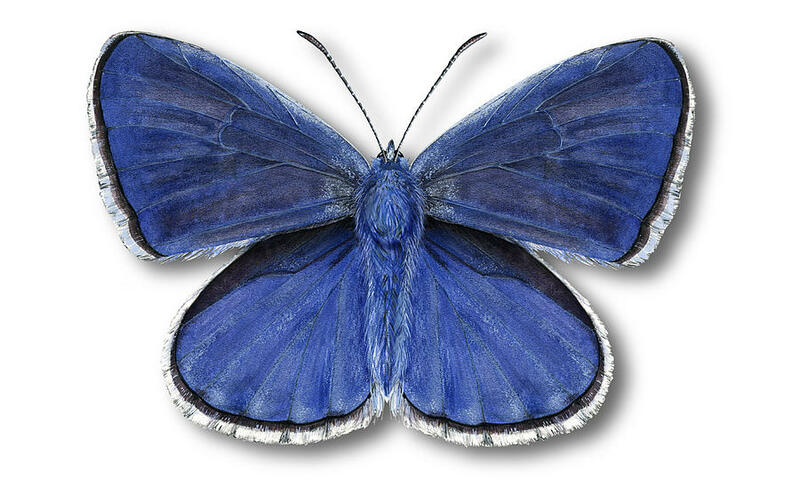 I was swithering over Le Chasse Aux Papillons and Do Son, luckily I had the chance to test Do Son first! Yes… I’ve never really understood the use of ‘fresh’ without a subject as a description… ‘fresh what?’. Fresh fish for example, or fresh pig’s liver is surely not what these people mean. The word left dangling all alone seems meaningless, though with time one gets something of an understanding as to the anodyne horrors that seem to command so much support these days. If only these scents did smell of ‘fresh air’. Now, museums, please don;t get me started… the over-curating or ‘authorship’ of museums is something that to put it very mildly gets The Dandy’s goat. One realises that children must be brought in to appreciating and exploring museums, but must the rest of us be treated as children in the process of achieving this. I long for days when museums allowed one time and space to contemplate objects with a hint at their context rather then being boiled down Bachelor degree dissertations presented with the fanfare normally associated with the launch of a new Apple product. The very worst offender in this regard is the car crash of curatorial craftsmanship that is The Museum of London’s most recent displays. Thank heaven others, like the V&A have remained largely aloof from such nonsense! Oh yes and you did so well to encounter the ethereal Do Son before this. Sympathy! We’ve had a car-crash in Edinburgh’s Chamber Street Museum. There’s the new Museum of Scotland next door – great, love it, beautiful architecture and interior. But what they did with the Victorian era original museum is mind boggling. They’ve rearranged my favourite floor to look like a cheap cafe (beautiful artefacts interspersed with chip-board aubergine and calico painted panels!) and it’s totally over curated, or rather badly curated. Beautiful objects (objects doesn’t describe them – more manifestations of 100s of years of experience and thought distilled into perfect form) chucked together to create spurious juxtapositions. I’m not resistant to change though, It’s the lack of care about meaning that bothers me. It’s strange because they wouldn’t feel the need for this with a sparse modernist painting, which they’d probably display, rightly, without visual distractions. Oh, and they did away with the Victoriana style take on Islamic-blue tiled goldfish pools. Evil! Anyway, perfume – bring on Chandler Burr! Oh no noooooo! I grew up in Edinburgh, did the childrens’ art competition at that museum each Christmas, and then was a student in the building opposite the museum for many years,,, one of my favourite haunts in Edinburgh, so tranquil, loved the pools… this is so sad! I have memories of that museum too from a number of years performing in a club across the road during the Edinburgh Festival, so can share your and Rose’s sense of loss. The intrusion of endless bold colour signage and ‘cafe-style areas’ is one of the scourges of the modern museum world. Saddest still is when such a crime is perpetrated on an old firend. Not that I’m opposed to redisplay at all, as I’ve mentioned the work of the V&A representing its collections in the past few years and Tate Britain too has been exemplary. But all to often museum design seems to borrow more from ‘Changing Rooms’ and the latest trends in retail than historical knowledge and architectural prowess. And as for juxtapositions! When thoughtful and clearly explained they can be helpful, but they have become such a trend, applied as often as not to holy inappropriate objects and contexts. Moan over… I may go and hide out somewhere lovely like the Geffrye Museum this afternoon to make myself feel better. Well we’re all agreed on that, and I hope you have/had a pleasant afternoon at the Geffrye Museum, I love restored houses! I’m at risk of sounding conservative in taste, so I’ll add that it’s my fantasy to live in a Scandinavian style house made from reclaimed materials with views from the West coast of Scotland over to Skye – I just need to save a few million! That’s interesting that you’ve performed at the Edinburgh Festival – it’s become a bit of a monster now, but there are still wonderful surprises amongst it all. Now I’m intrigued as to what you performed! 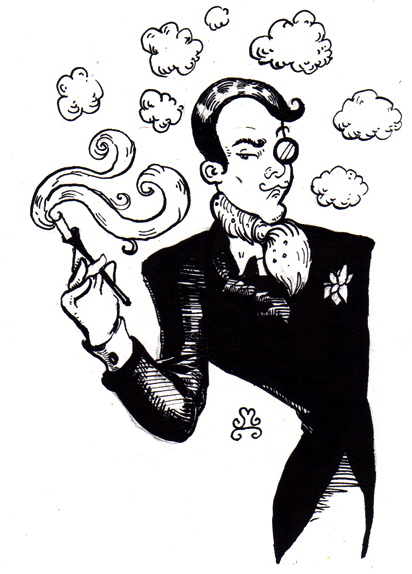 But will forego curiosity out of respect for the Dandy’s mystique! Now that idea for an abode does sound rather splendid. Personally I’ve always quite liked the idea of an exceptionally modern home in the midst of a Georgian Terrace (in a gap created by an old bomb or something of the sort). Yes, Edinburgh (the fringe that is) is not what it was… pretty much mostly comedy now from what I hear. I gave La Chasse a try maybe two years ago, and it struck me as artificially “nice” and totally forgettable. 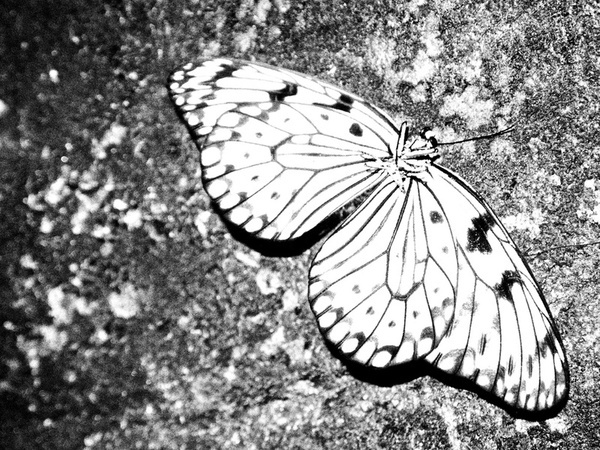 Your image of dusty, faded, pinned butterflies is spot on–this perfume should be lovely but it’s soulless! I’m not a big fan of white florals overall (though I have a couple of favorites), and orange blossom can be so shrill if not used well. La Chasse reminded me of an orange blossom air freshener my mother had when I was a child, and I never liked how synthetically bright it smelled in our dark-woodwork old house. I tell myself that any time I meet a perfume I dislike, it just leaves more room for those I love. I walked away from La Chasse easily, with no regret. Sounds like you have done the same, Mr. Dandy. Isn’t it interesting, the thing that most people seem to remember about this scent is not remembering much about it! Now, if ever there was a judgement that is it. Orange blossom is one of those notes that has been used (like jasmine and lavender) so extensively in air fresheners and cleaning products that sometimes scents at the lower end of the market can seem almost indistinguishable from the functional fragrance. I would have hoped that something with this hefty price tag would have escaped that fate, but, alas, no! You have my sympathies regarding that jarringly ‘fresh’ in the atmospherically wooden house, it is an odd sensation when scent and place just don’t fit together. I was at a restaurant recently that smelt of rose oil, and whilst pleasant it felt wrong… restaurants should smell of food, surely!?! Now, your philosophy and sub-standard perfume… how perfect! None of us has time to wear all 20,000+ scents on the market, so the more mediocre ones the more chance there is to at least try the others. Oh dear. I was thinking of trying this one, since I love white flowers. But it doesn’t sound worth it. It may be worth a try, that orange blossom is quite determined if nothing else…. but there are so many better white florals out there that I, personally, wouldn’t. Do you have a current favourite I wonder? I do! I personally love Estee Lauder’s Private Collection Tuberose Gardenia. I haven’t found a white floral I love more than that. Very good… I shall take that as a recommendation (a valued one at that) and add it to the ever-growing list. Though I may well be tempted to try this one merely for pleasure first. Yes, there are quite a few l’Artisan fragrances that I enjoy… a few coming up here soon. But like you I found this a little uninspiring and yes, yes “chalky” that;s exactly it. But not in the great way that say ‘Chamade’ or a cool galbanum scent is, just dusty and dry and rather insipid. Dear TPD, I really enjoyed reading this piece even though I do not agree with you completely on the scent. 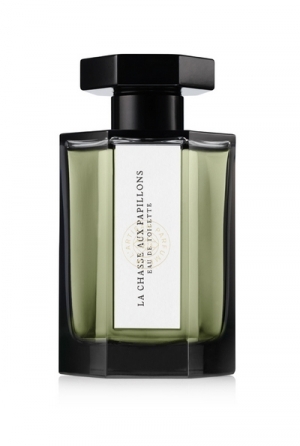 La Chasse Aux Papilions will probably never join my collection but mostly not because I dislike it but because it doesn’t have enough of linden – one of my most favorite notes in this type of perfumes – so I know that every time I’m in a mood for a Spring scent I’ll go for something else. And, on top of that, it dies too quickly on my skin. But still – a very elegant review (and look for the damage you did! 😉 At least several people won’t try it now). Perhaps if it did have a little more linden, or anything that gave it bite, it would have ingratiated itself to me a little more. You know, it’s not a revolting smell, far from it, it’s just so horribly inoffensive in an air freshener sort of a way that it ended up aggravating me… especially at the price. In short I found it to be a facile sort of scent. As to those people who will now never try…I’m not so sure, I know that when I read a bad review it often piques me into sniffing something all the same… just to know. I can’t believe I’m the only one!?! Even if they never try it, it’s OK (especially at the price 😉 ). Perhaps this makes The Dandy sound a little cheap, but I do feel that I have an expectation of something more expansive, or ludicrously delicate when paying that sort of money. “Every day nice” just won’t do! One supposes if one had endless lolly, such trifling matters well, just wouldn’t matter! I have a feeling that you think I’m arguing with you whereas, au contraire, I’m agreeing with you. Not at all… I was a agreeing with you too! It seems we are unanimous!